Antiqued silver finished copper coated plastic daisy rondelles have a large 7mm inside diameter hole. They measure 14mm x 4mm. 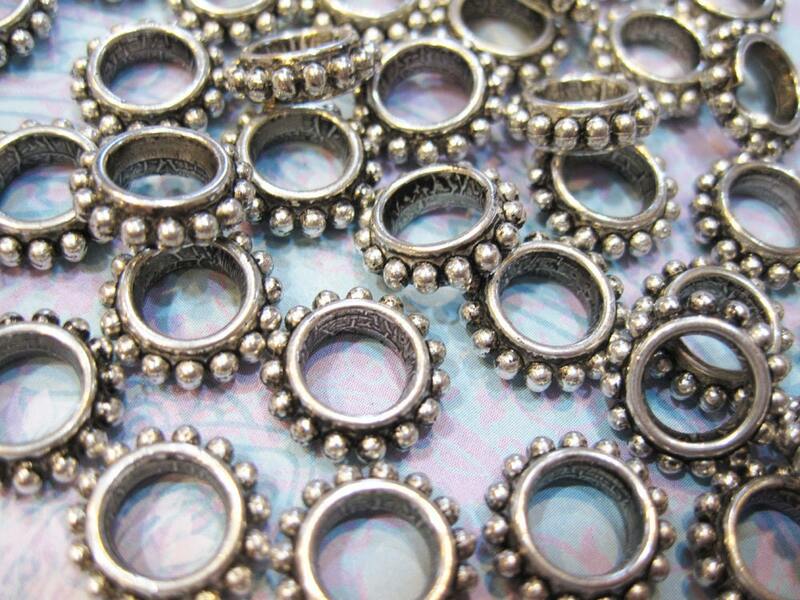 Give jewelry designs a metal bead appearance without the weight. Copper-coated plastic beads have a solid core that holds its shape, while offering a lightweight style. Copper coating provides a reliable base for the antiqued silver finish. You will receive 20 pcs.